This generation fighting for the next! This past weekend we hosted our Dance Marathon Summit. 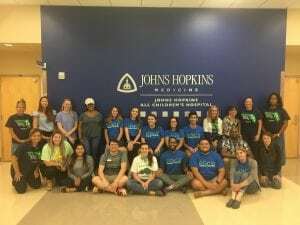 This included leaders from several programs that benefit Johns Hopkins All Children’s Hospital. It was a great day sharing in a common goal to improve pediatric heath for the kids. We are excited to see the great work they do with their event this upcoming year. Previous post: Walmart and Sam’s Club have raised nearly $1 billion for sick kids! Next post: Two days to celebrate National Coffee Day at Love’s and help kids!